Integrating dance, text and tragedy, The Shunning blends movement and spoken word that will carry you through a sea of emotions. 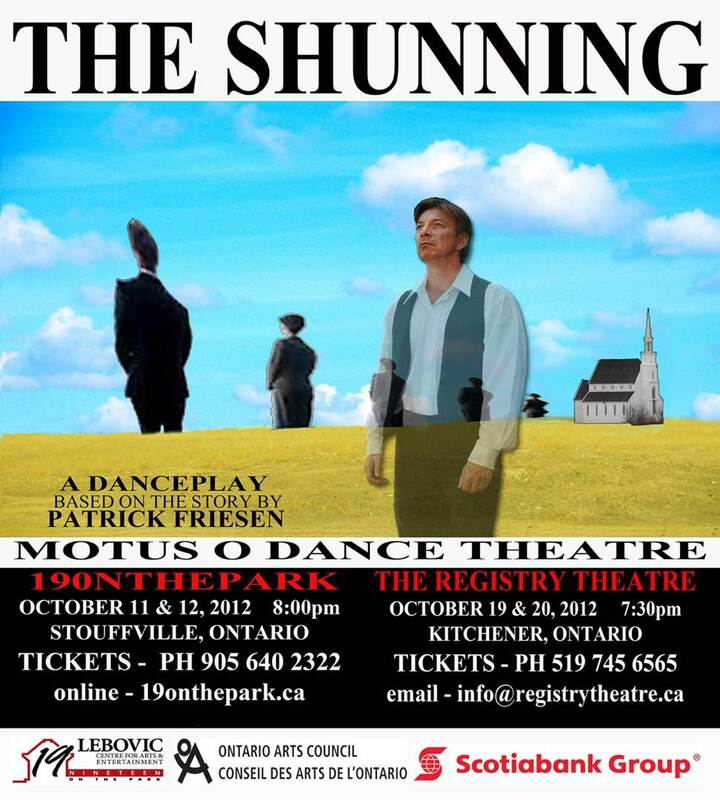 Written by Patrick Friesen and adapted by MOTUS O, The Shunning is a story of one man struggling to express his personal views within a society that demands conformity. The Shunning penetrates to the very heart of the human soul.